Our quilt guild, Cane Cutters, recently selected the Ronald McDonald Home, with St. Jude's Children's Hospital as recipients of 80 quilts for Christmas 2017. 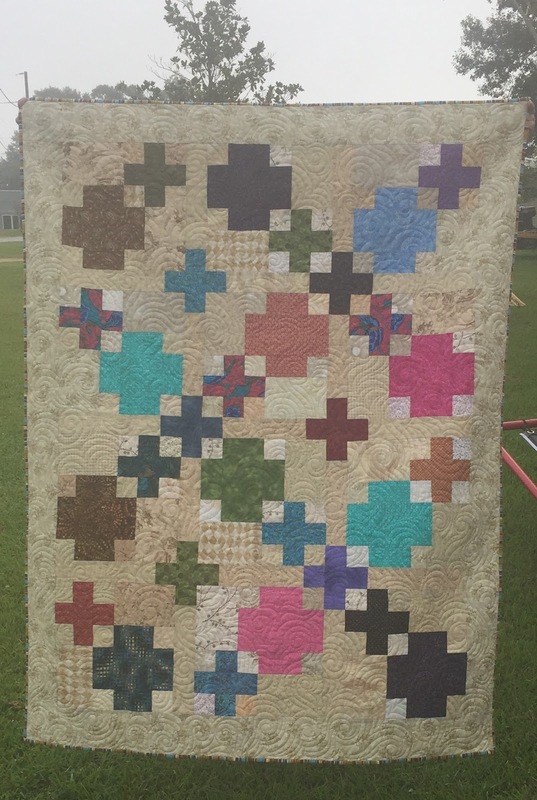 "Have Faith" was specifically designed for charity quilts. This is my first finish....with hopes for a couple more. A larger Pink and White version was made last month for a Breast Cancer Awareness Fund Raiser. This turned out to be very simple pattern for a throw size. Oh, I love this quilt, Jamie - and what a perfect name! Whoop whoop!! Love this quilt!!! Is it suppose to be a pretzel? It looks like one sideways. Is the pattern available? Great job!